We have added a ton of shows to the schedule, including Arizona/Nevada in April, the upper midwest in May, Ohio in July, and Pennsylvania/Michigan in August!!! We will also play free "town park" shows across California this summer (many of which are still to be confirmed). We have added several great festivals (Gratefulfest in Ohio and Hoxeyville in Michigan), with several more we can't announce yet. 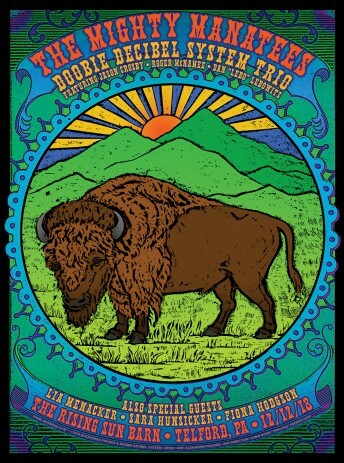 And don't forget the 4:20 Tribal Pow wow at Slim's in San Francisco on 4/20!!! 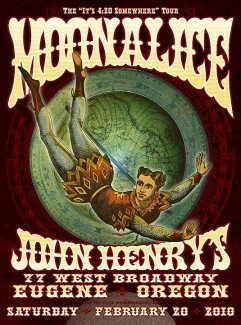 #MZT72 - Twittercast from Eugene, OR 2/20/10 - Links to songs!!! 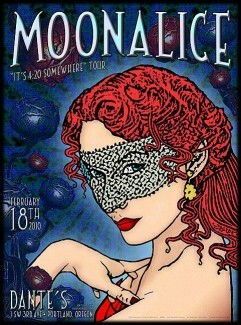 According to Moonalice legend, Eugene is home to the Oregon Ducks. We visited a new venue - John Henry's - and had an amazing time. 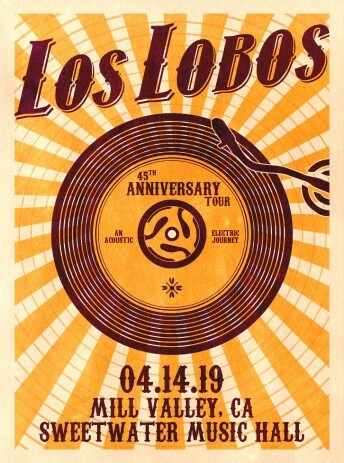 Les Claypool and James McMurtry were in different venues in the same block as John Henry's, but we had a full house anyway. Big Steve got us off to the kind of start we have come to expect from the Medicine Man. 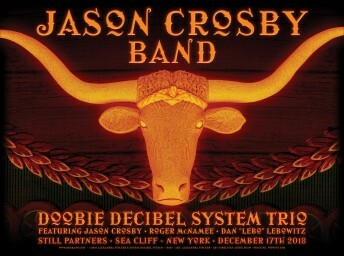 #MZT71 - Twittercast from Domino Room, Bend, OR 2-19-10 - Links to songs! 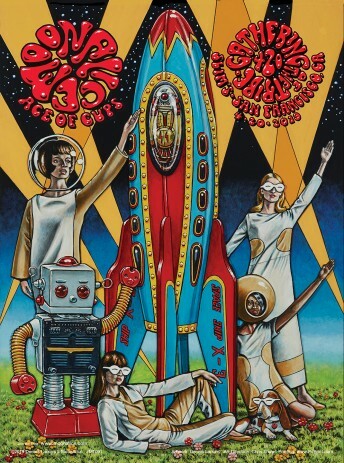 According to Moonalice legend, the tribe's second visit to Bend was huge fun! Gold Pass laminate holders @mugmkr and @juliejulie hosted the show, along with the "womannequin" @francinetwist. 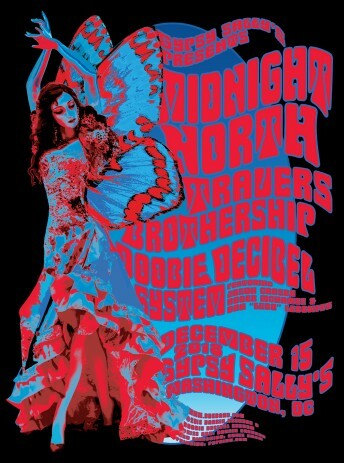 The poster, by David Singer, features Billiken, the doll named after President William Howard Taft. 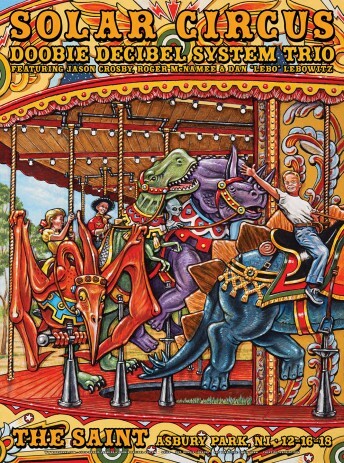 #MZT70 - Twittercast from Dante's, Portland, OR 2-18-10 - Links to songs! Our first gig at Dante's on a Thursday in Portland was beyond memorable. It was magical. The power got funky at the end of the first set - guitar amps went off for a few seconds several times - but it didn't matter. This is our idea of a perfect night. #MZT69 - Tractor Tavern, Seattle, WA 2010-02-17 - links to songs!!! 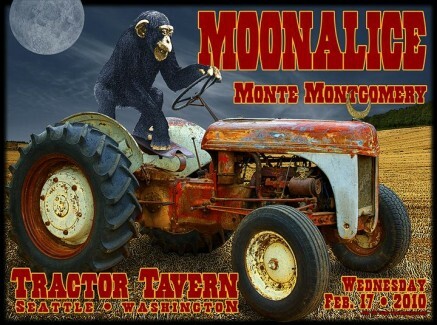 The Tractor Tavern is a really nice venue in the Ballard district of Seattle. We played our first gig on a Wednesday night. Given the day, we had low expectations on crowd size . . . and were blown away when the room was more than half full. 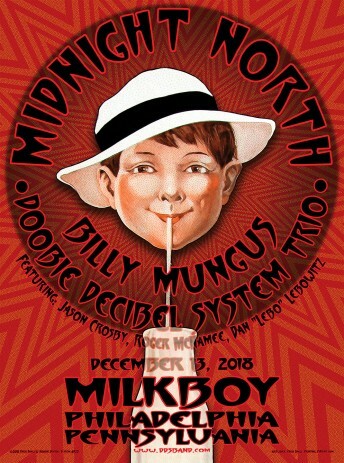 This was our first concert of the year and there were a few technical imperfections at the show - all of which are preserved in this recording - but that's rock 'n' roll. We played four songs for the first time and several others for the first time in a while. Enjoy!!! New festivals added for summer tour! There is a wonderful new venue in Brooklyn, NY called the Brooklyn Bowl. It's a venue where you go bowling and dancing in the same place. 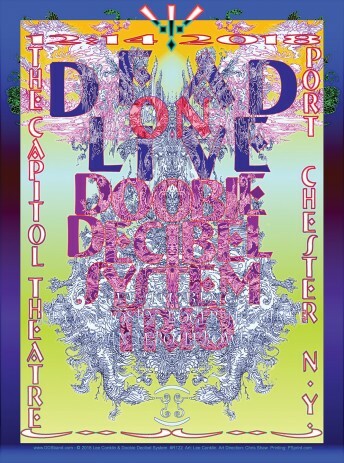 The Bowl was conceived by our friend Peter Shapiro, who also runs Relix magazine and jambands.com. We'll be playing there on Thursday, March 25 at 8pm. Tickets are $5 in advance, $7 at the door. For Memorial Day weekend, we will back in Geneva, MN for the Bella Music Festival. We were there last year and had a FANTASTIC time. The setting cannot be beat. That show will be May 29. 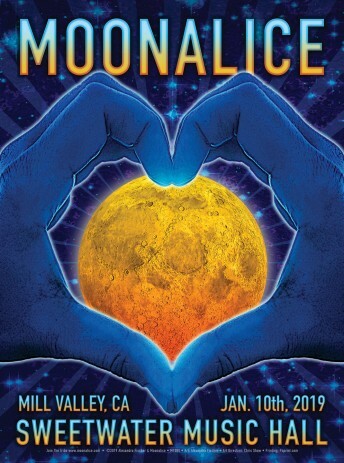 Link to story about upcoming Moonalice tour!!! 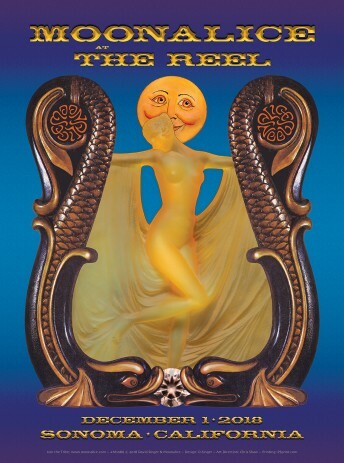 New version of Moonalice phone app available!! 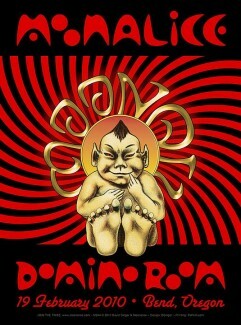 Version 2 of "420 Wallpaper" - the application that lets you use Moonalice posters as smartphone wallpaper - is now available for Palm Pre and Palm Pixi. 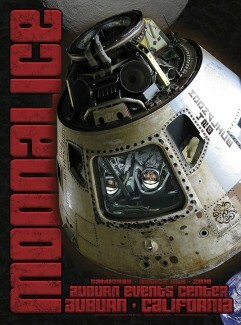 The app has a huge number of Moonalice posters . . . with lots more to come!! !